Claritin is an anti-allergy drug used for relief of nasal and non-nasal symptoms of various allergic conditions such as seasonal allergic rhnitis. It is also used to treat patients with an allergic skin rash called chronic uticaria. Unlike other anti-histamines therefore Claritin does not cause drowsiness. What is the generic name of Claritin? The generic name of Claritin is Loratadine. What are the other brand names of Loratadine? Loratadine is also available without prescription under the brand name Alavert. To which drug class does Claritin belong? Claritin is a long acting anti-histamine. When a person with allergy comes across an allergenic trigger, the body releases a chemical called Histamine which causes swelling of tissues, sneezing, runny nose, itching and watering of the eyes. 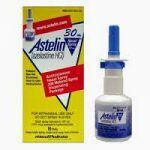 Histamine is released from Histamine storing cells and attaches to other cells equipped with receptors for it. 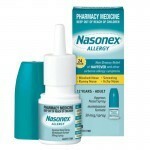 This attachment causes activation of allergy symptoms. Claritin blocks one of the receptors for Histamine (the H1 receptor) and thus prevents activation of cells by Histamine and the symptoms of allergy. Who should not take Claritin? Claritin is not approved for children less than 2 years of age. Claritin RediTabs Tablets may be used by children older than 6. Consult with your doctor prior to use if you have or had liver or kidney disease. You may not be able to take Claritin if you experienced an allergic reaction to another anti-histamine. Claritin Tablets contain corn starch, lactose, and magnesium stearate. Claritin Syrup contains citric acid, artificial flavor, glycerin, propylene glycol, sodium benzoate, sugar. Claritin Reditabs contain citric acid, gelatin, mannitol, and mint flavor. Can I take Claritin during pregnancy? There is no evidence till date to suggest that Claritin causes fetal damage, however, a doctor should always be consulted as a precautionary measure. Can I take Claritin while breast-feeding? Though Claritin is secreted in breast milk, there has been no evidence so far to suggest that it causes harm to the nursing infant. As a preventive measure, a doctor should be consulted. What are the available doses of Claritin? Take Claritin exactly as prescribed by your doctor. Generally, it is prescribed once daily. Patients with medical history of poor kidney function or liver disease should take lower dosages in consultation with their doctor. Regular tablets – do not crush, chew, or melt the regular tablets. Take the tablet with a full glass of water. Syrup – use a measuring spoon or cup to ensure correct dosing. Claritin RediTabs – melt the tab in your mouth. Use the tab immediately after taking it out of its wrapping. The tabs can be used no longer than 6 months from the opening of the package. How should I store Claritin? Claritin tablets should be stored at room temperature, between 15 to 30 degree Celsius (60 to 85 degree Fahrenheit). Claritin syrup should be kept in a cool and dark place away from light. Keep all the drugs away from reach of children and pets. If a child accidentally consumes this drug or any other drug, you should immediately contact your local poison control center or take child to an emergency room as soon as you can and take the drug package with you. Do not induce vomiting unless ordered to. What should I do if I missed a dose of Claritin? Take the dose you missed as soon as you remember, unless it is almost time for next dose. If it is too late, skip the dose you forgot and take the next dose on its regular time. Never take a double dose. If you have taken a double dose by mistake, contact your doctor. If overdose is suspected, seek medical help immediately. Claritin overdose symptoms may include headache, drowsiness, irregular heartbeat, nausea, and vomiting. How long should I keep taking Claritin? Take Claritin as long as your doctor orders you to. Does Claritin have any side effects? Claritin does not cause any serious side effects. Claritin may unlikely cause the following mild side effects: headache, tiredness, dry skin, itchiness, nausea and dry mouth. Tell your doctor if these side effects persist or worsen. Seek medical help if you experience any of these rare but serious side effects: seizures, irregular heartbeat. In rare cases an allergic reaction may occur. Symptoms of allergy may include swelling of the tongue, lips or face, hives, difficulty in breathing, or closing of the throat. If you experience an allergic reaction, seek medical help immediately. Does Claritin interact with other medications or substances? There are no known clinically effective drug interactions associated with Claritin. However, notify your doctor if you are taking any other anti-histamine medication. Should I take any special precautions while taking Claritin? Your dosage needs to be checked if your medical history includes poor kidney function or liver disease. If Claritin makes you dizzy or sleepy, avoid driving or performing any hazardous activity. How can I order Claritin online? To buy Claritin online, please browse our listings of recommended online pharmacies and stores. The sites listed were selected carefully according to reliability, security and attractive prices. When completing this procedure you can buy Claritin online by using all major credit cards, and enjoy worldwide delivery.